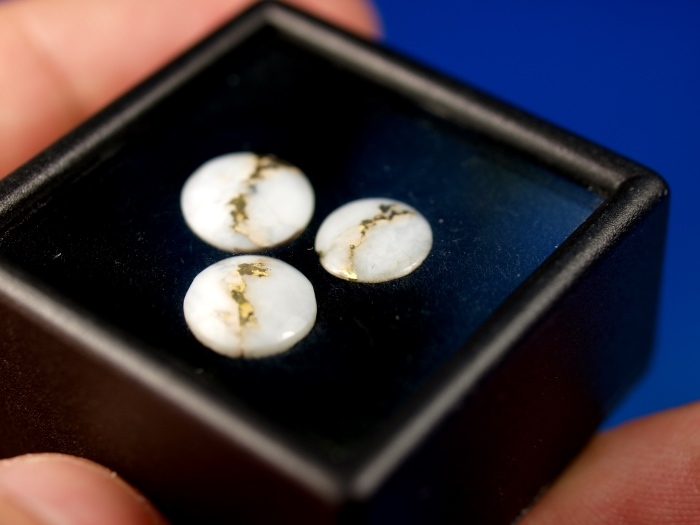 This listing is for all 3 of these pretty little gold/quartz cabochons. 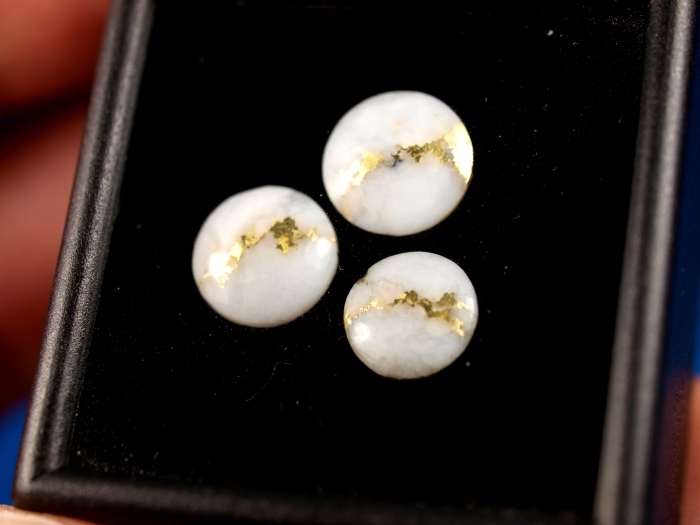 These are perfect for your next jewelry project or just to keep as they are to show how gold veins run through quartz. 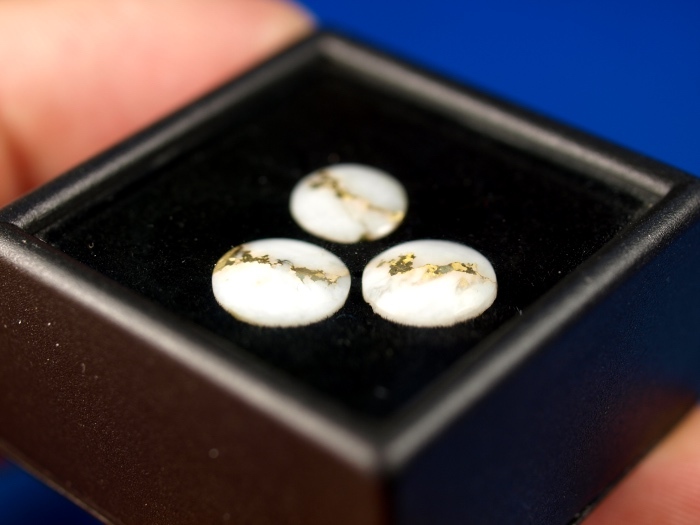 These ship in the display case pictured.